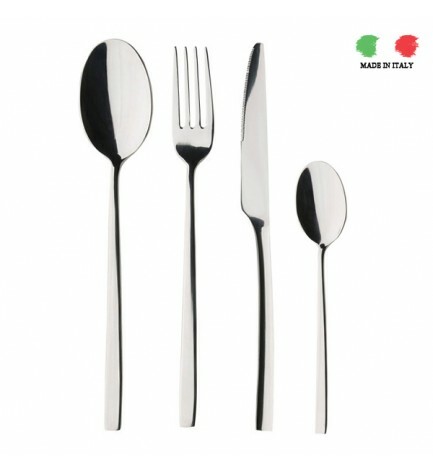 Elegant and timeless models of cutlery in 18/10 stainless steel, designed and produced in Italy. This finest stainless steel and its manufacturing technique guarantee that the blades present excellent characteristics of cutting and hardness, making them very resistant and performing without special care for their preservation. Thanks to all these characteristics, ByItaly tested and chose these collections for its perfect weight and optimal balancing. Abert’s cutlery designs range from modern cutting-edge design to traditional models, all of them distinguished by a perfect balance of thickness and dimensions that enhance that enhance the noble stainless steel which is made of.